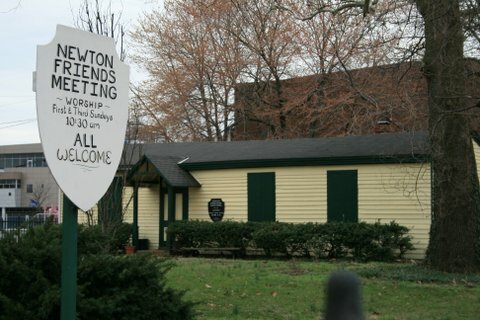 Newton Friends Meeting of the Religious Society of Friends is located at 808 Cooper St. Informally we are referred to as “Quakers”. Our silent meeting for worship is approximately one hour in length. Meeting for Worship is held each Sunday at 10:30 AM. Our meeting for worship with the attention to business is held at 12:00 PM (at the rise of worship) on the second Sunday. The Meeting shares a unique partnership with the Garden Project and a local eco-charter school. Before your first meeting, you are welcome to learn more about us and our history. Please feel free to reach out with any questions.